Our crews are fast and efficient, and always clean up the area when done. We are also fully insured and licensed and fully experienced. In addition, we stand by all our work and offer a warranty on labor for 10 years, as well as a warranty on materials for a lifetime. 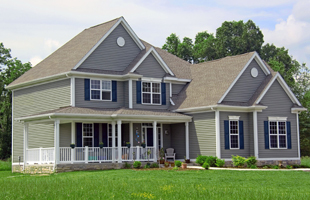 When it comes to materials, we use the best shingles available from GAF and Certainteed. A good roof can last up to 30 years if properly installed and with Eastbrook, you can rest assured it will. We have installed and repaired new roofs on hundreds of houses in Brighton. But of course, we have also repaired and installed roofs in Howell, South Lyon, Fenton, Ann Arbor, and many more. Also, we offer free estimates on your roof to give you an idea of what it will take to repair your roof. So, to recap, in the Brighton area, the most trusted and experienced roofing contractor is Eastbrook Construction. We can provide you with the services you need to get your roof looking brand new again. Finally, trust your roofing repairs or installation with an experienced contractor, such as Eastbrook Construction, you will be glad you did! This entry was posted in Roofing Contractor and tagged Affordable roofing, brighton, Roofing Contractor. Bookmark the permalink.